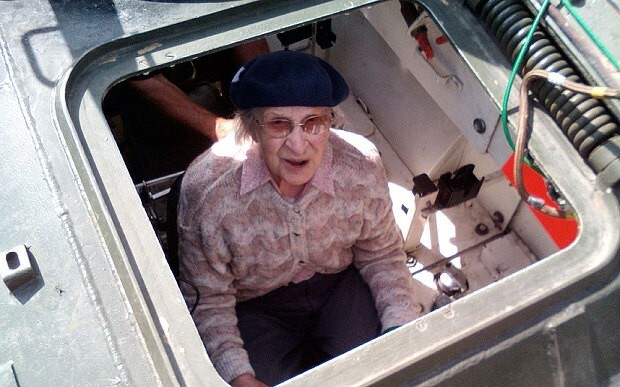 If you are one of those tough road drifters, then you better move aside because this 101-year old great grandmother is on your tail. 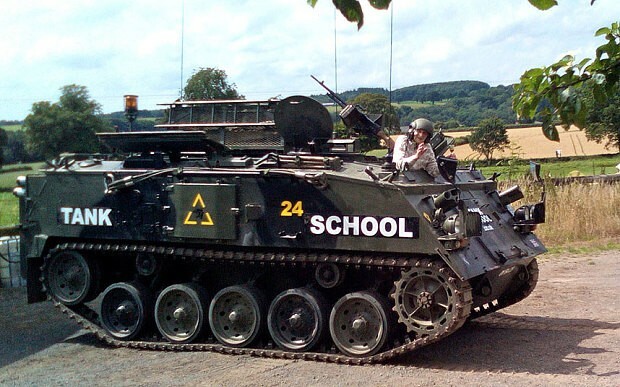 Former nurse Hilda Jackson, who has 11 great grandchildren finally completed her long life dream of driving a tank in South Wales. 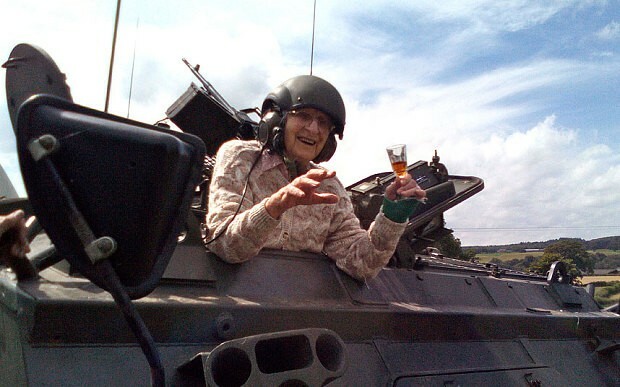 The feisty centenarian celebrated her 101st birthday with style, as she sipped a glass of cherry from the 100,000 FV432 tank’s cockpit. Happy birthday, and we hope you get the chance to fly an F-16 on your next birthday.